Where Are The Beans From? Will This Coffee Kill Me? The biggest question asked surrounding health & nutritional benefits to our blend is, how many calories are in a serving size of Death Wish Coffee? ZERO calories! Because both of our Death Wish and Valhalla blends are USDA Certified Organic and Fair Trade with no additives or ingredients beyond the organic coffee beans, our blend has only about 2 calories per cup, no carbs, protein, or fiber. For more information on the health benefits of coffee, check this short blog out with a full break down of the many health benefits coffee has to offer. What the F*** is a Mycotoxin? Mycotoxins are naturally occurring, and nearly immeasurable levels can be found in coffee. Even when small levels are rarely found on green coffee beans, green coffee is never to be used for brewing, and about 90% of it will be cooked off during the roasting process. Because caffeine is a natural mycotoxin inhibitor, and our blends are highly caffeinated, even smaller levels of mycotoxins are detectable in our coffee in comparison! These levels are not harmful and so small that the FDA has discontinued its research. Now with that said, please don’t take this as medical advice. All of our blog posts are intended for a general audience. If you have any preexisting health concerns in relation to mold or mycotoxins, we always recommend reaching out to a medical professional. 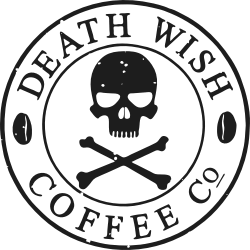 To purchase Death Wish Coffee, click here. Additional articles on coffee and your health! Are Coffee Beans Actually Fruit? What Does Caffeine Look Like? How Strong Is Death Wish Coffee?